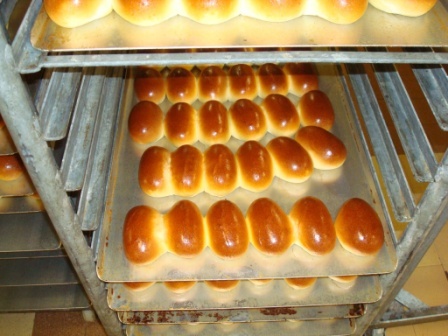 Rolls and Buns Line | Naegele Inc.
Rolls and buns are generally baked on flat or indented baking trays. This line concept is a renowned example of high efficiency buns production. 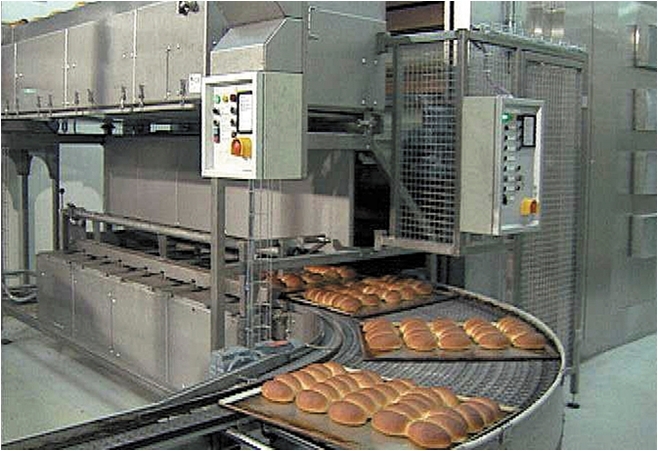 The production line shown on this page can produce 36,000 buns per hour. It starts with a bun moulder or dough sheeting line. The baking trays are transported through the Multi-Step proofer. After the proofer, the pans are fed into the tunnel oven. From the oven discharge, the pans are transported to the depanner, where the buns are taken off. The finished products are transported through a Multi-Spiral cooler while the empty pans return to the dough depositing section after being cleaned.